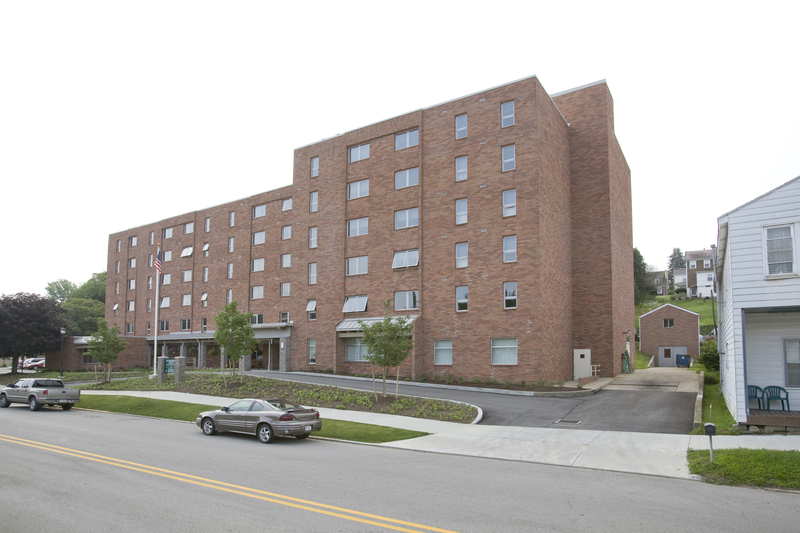 Originally built in the 1970s, the exisiting six-story Allegheny Hills Retirement Residence was in need of a serious upgrade for its current senior residents. All 79 units as well as common spaces needed to be updated, and ADA units needed to be added. This HUD 202 Section 8 building was refinanced using funding from Pennsylvania Housing Finance Agency, Affordable Housing Tax Credits, and the United States Department of Agriculture rural homes program. 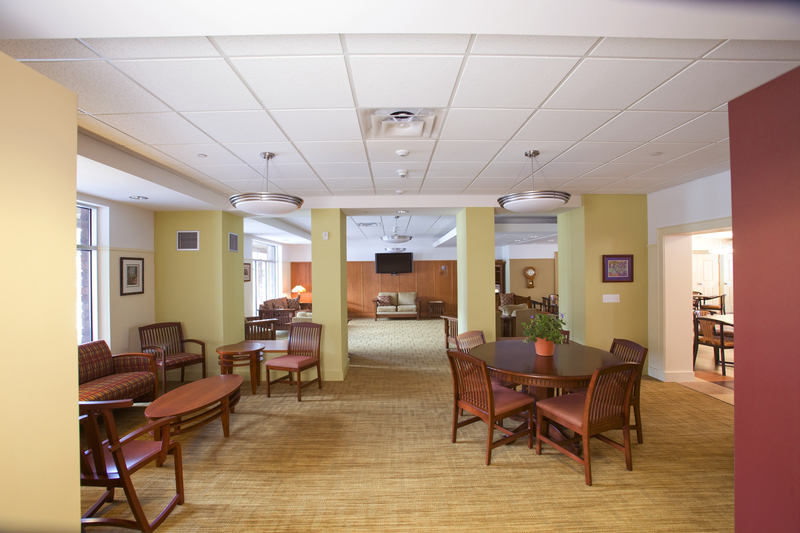 Since the building had to remain occupied during renovations, strategic coordination between the project team had to be executed at every level to minimize resident discomfort and keep the existing facility running while new systems were being installed. 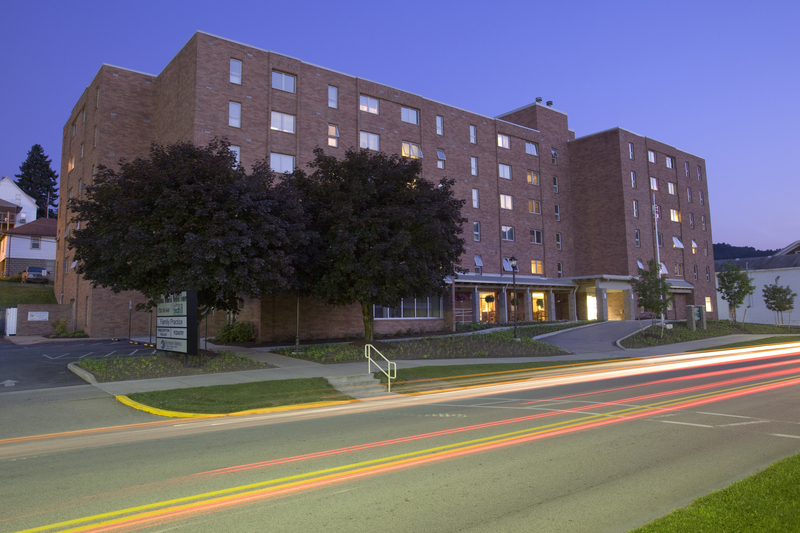 Each apartment received a completely new HVAC system, as well as new electrical and plumbing systems and finishes, and trickle ventilators were added to unit room to bring in fresh air. 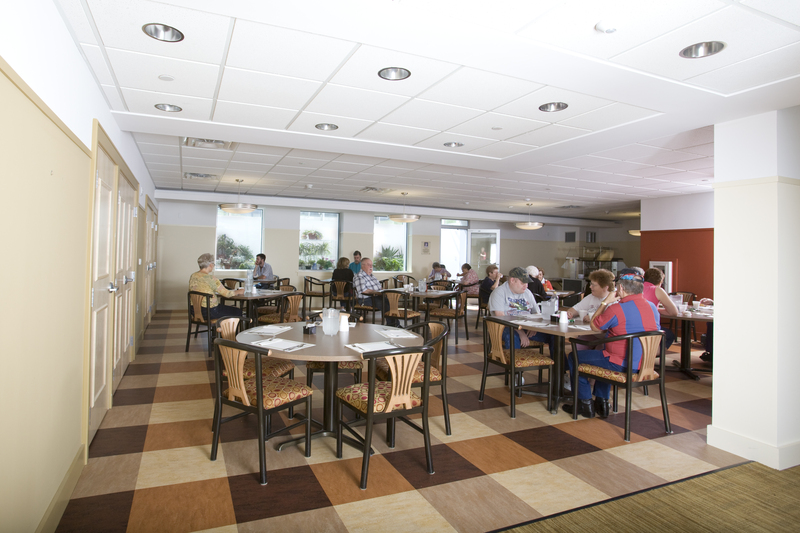 New amenity spaces were created for the building, including a library, a game room, and a completely modernized commercial kitchen. 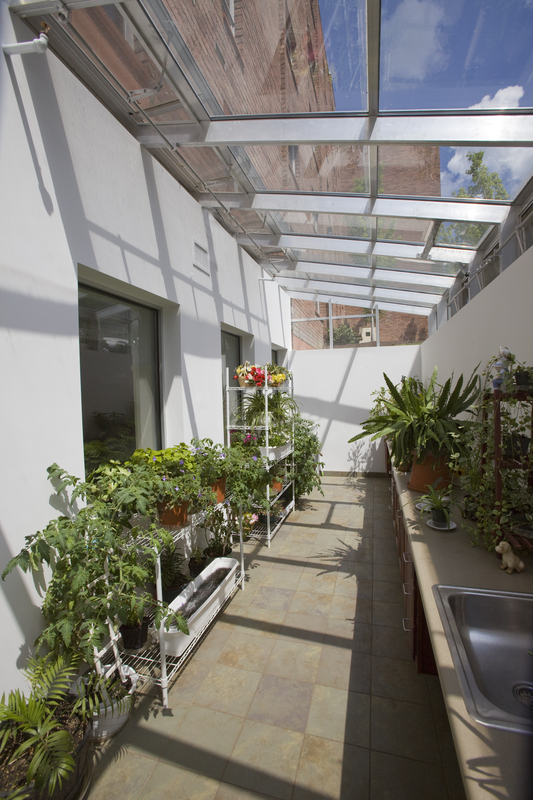 Additionally, to add more natural lighting to the space, a greenhouse with skylights and plenty of windows was constructed. 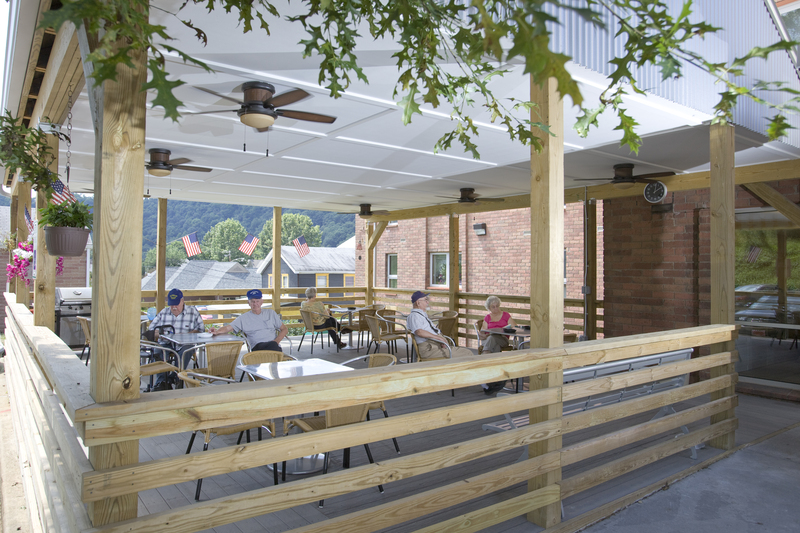 To finish the renovation, new energy-efficient windows, as well as an improved thermal envelope and roof, replaced the old lackluster ones, creating a building that can serve as an energy model for other similar renovations of same era buildings. 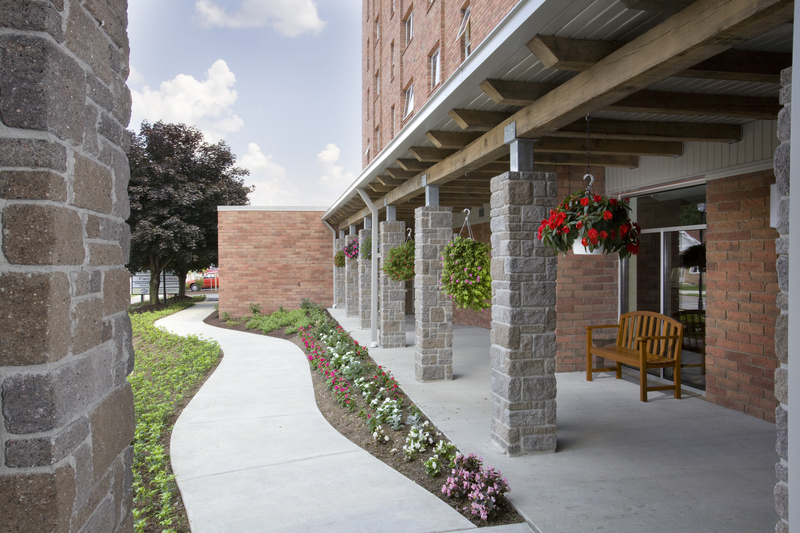 The new Allegheny Hills Retirement Residence saw a reduction in energy consumption of 60% which earned it a coveted LEED Gold rating.